On her way into work Wednesday morning, Minette Juhl Miller got a phone call no business owner wants to receive. Her restaurant, Minetties Roadside Diner, 6737 Minnesota Highway 210 in Wright, was on fire. Her son, Arthur Juhl, who lives in the trailer behind the diner, had gone in to mop the restaurant around 4:30 a.m. He finished the chore, then returned home. Back at his residence, the power went out, so he looked out the window to see if the yard light was still on. That’s when Juhl noticed flames outside the restaurant. 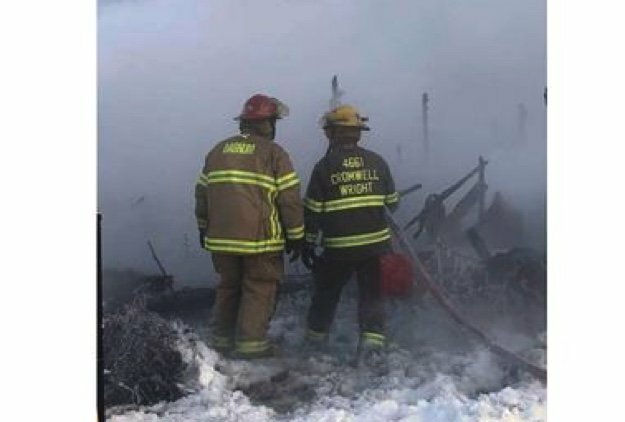 The fire destroyed the building, Cromwell-Wright Fire Chief Lucas Goodin said. The cause of fire is still under investigation. No employees were in the building at the time of the fire, though one firefighter walked away with minor injuries from a roof collapse. The person was treated at Community Memorial Hospital in Cloquet.